Combat Blindness International is committed to improving women’s equity in the world through initiatives like the Certified Ophthalmic Personnel Program. We are thrilled that we have the opportunity to help women grow. In honor of International Women’s Day, we have taken a closer look at the impact of the COPs program. India is home to one-third of the world’s blind. 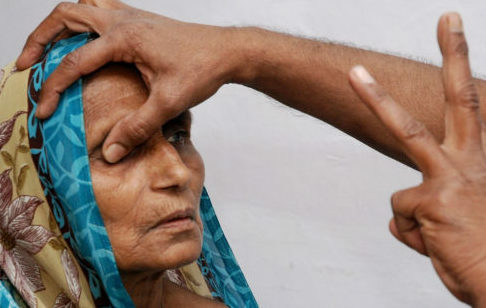 One of the biggest challenges to delivering eye to people in low to middle-income countries is the lack of eye care personnel; ophthalmologists, eye care technicians and nurses. Through our Certified Ophthalmic Personnel program, we empower young women in India to receive an education to become this needed eye care workforce. Our two-year program trains over 150 women biannually to assist in ophthalmic care. Women in the COPs program come from rural villages and upon graduation, help fill this gap in patient care. The best part about empowering young women is the ripple effect– when they know their worth and are confident enough to help those in need, their strength lifts the entire community. Mapped out below are the ways in which educating a woman helps everyone. Though many girls are anxious and intimidated when they first come to school, the COPs program gives them transferable life skills as well as the medical education to be effective hospital staff. As their capabilities grow, so does their confidence. 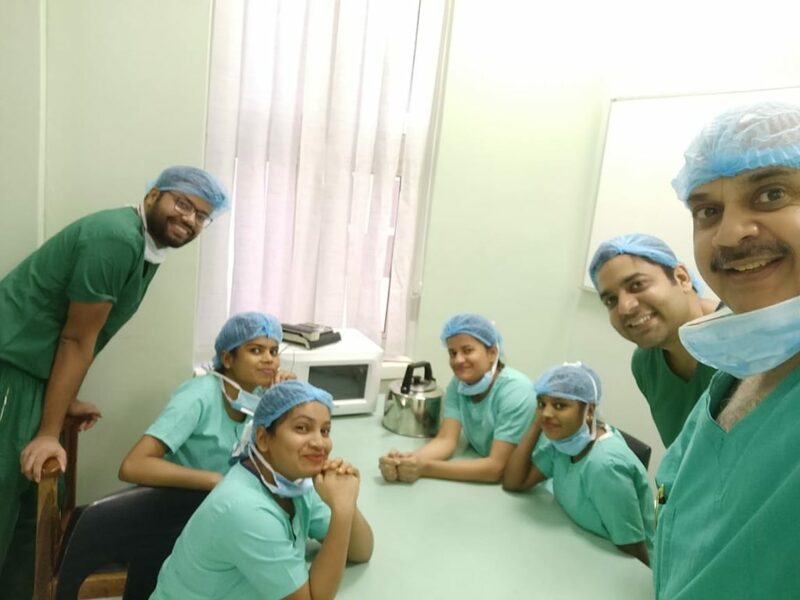 The initial goal of the program was to help ophthalmologists in India work more efficiently, but these young women develop important life skills including development of their self-awareness, goal setting, decision making, critical thinking and positive communication. 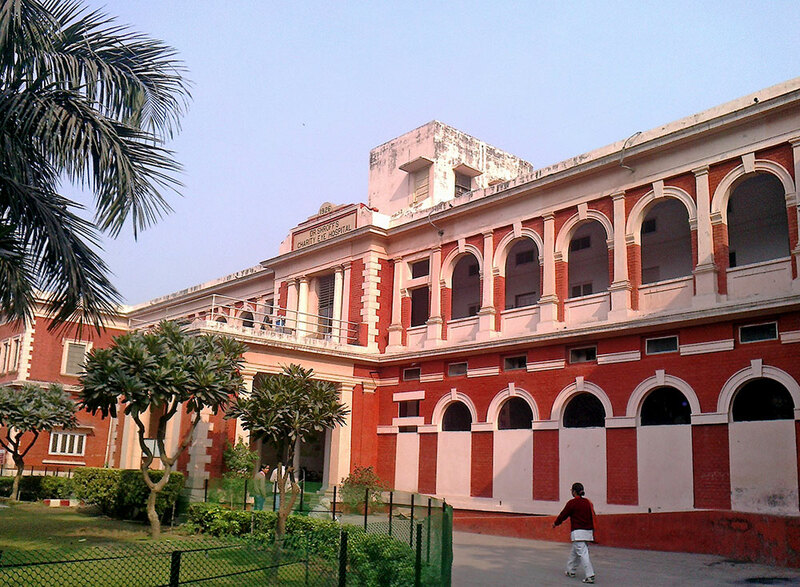 Because of the high proportion of visually impaired people in India, there’s an institutional strain on hospitals. Having COPs in the hospital helps ophthalmologists screen more patients and have more time for surgery. It improves the quality of patient care and speeds up the process of seeing a patient. Women in the program can take one of 4 paths: Ophthalmic Assistants serve an ophthalmologist in surgery, Counselors assist with patient care and satisfaction, Vision Technicians screen patients for refractive errors, and Medical Report Assistants maintain patient medical records. Each path helps prevent and diminish the overall effects of blindness on the nation of India. They play a critical role not only in improving efficiency and capacity of the surgical center, but also in patient education through counseling, motivation, and follow up care in the community. When the women finish their education and are placed in hospitals in the community, they are fully equipped to advocate for those who need it most. Global blindness disproportionately affects women and children, and the COPs are unique in that they’re specifically empowering these populations to look after their eye health. Through this unique program model, we are alleviating the shortage in the allied health profession, while simultaneously empowering women who traditionally have very little to no opportunity to receive an education and pursue a career outside of the home or villages. It is this empowerment that has a ripple effect in benefiting their families and community. Families see an immediate benefit in providing an education for their daughters and additional income for their household. Parents remark on the increased intellectual skills and confidence of their daughters. Along with all of this, many of the COPs girls send the money they earn through their stipend home to their families. The most exciting part about the program as a whole is the scalability– there’s an option to increase the number of hospitals running programs like these, the number of women in the programs, and the number of patients seen by COPs. We at Combat Blindness International are honored to support the critical work of training and educating COPs. We look forward to continuing our work through our advocates to prevent and eliminate blindness in low-income countries. Happy International Women’s Day! I am honored to serve on the CBI board as I worked with Dr. Suresh Chandra and CBI in college and medical school to help establish the CBI Mysore Initiative. It is wonderful to be able to come full-circle and now help to develop the pediatric blindness prevention initiatives through CBI. “It is my belief that technology, used correctly, makes us more human. CBI has been pushing the boundaries of fighting avoidable blindness through innovation and creativity around the world. The need is enormous and CBI, although relatively small, has achieved much. Credit goes to the dedicated people that are involved starting at the top with Suresh Chandra. A family member who becomes blind changes from being a contributor to a family burden, a husband cannot work in the fields, a mother cannot walk over rough terrain to take her goods to market, or collect water, and a child cannot attend school. To know that for the price of a few days worth of Starbucks coffee that I can give someone their sight back, their life back, is incredible. Being part of this organization of dedicated, compassionate people is an honor. Combat Blindness International eliminates preventable blindness worldwide by providing sustainable, equitable solutions for sight through partnerships and innovation. © 2019 Combat Blindness International. All rights reserved.